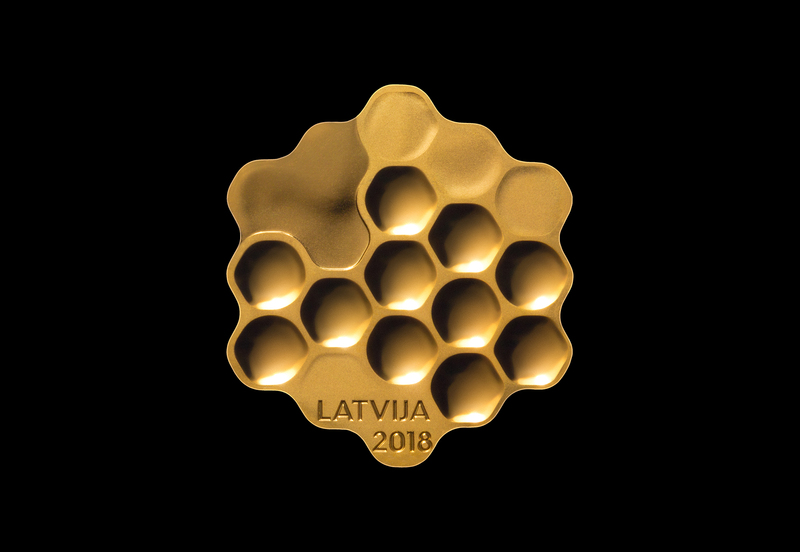 The 5 euro collector coin ‘Honey‘ designed by London based Latvian designer Arthur Analts honours Latvia’s sustainability, nature and resources. 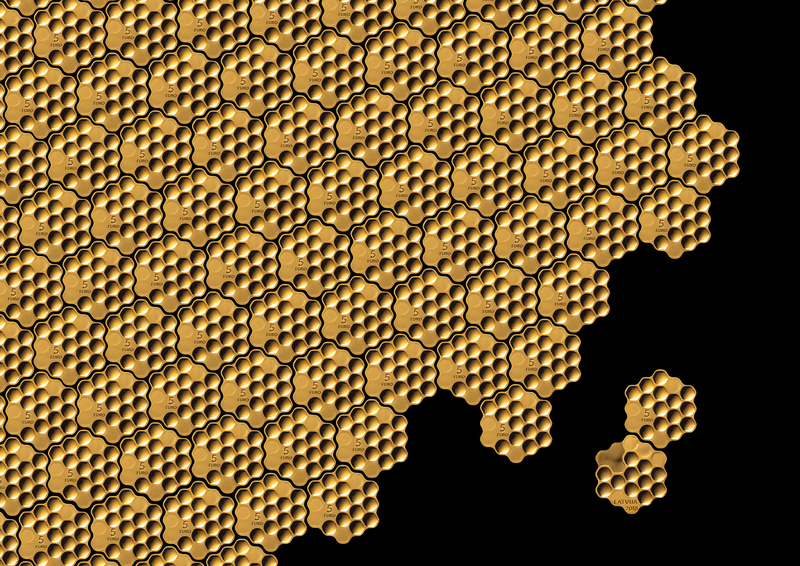 According to A.Einstein: “If the bee disappeared off the face of the Earth, man would only have four years left to live.’’ Bees and honey is the chosen symbol of Latvia’s ecological indicator. 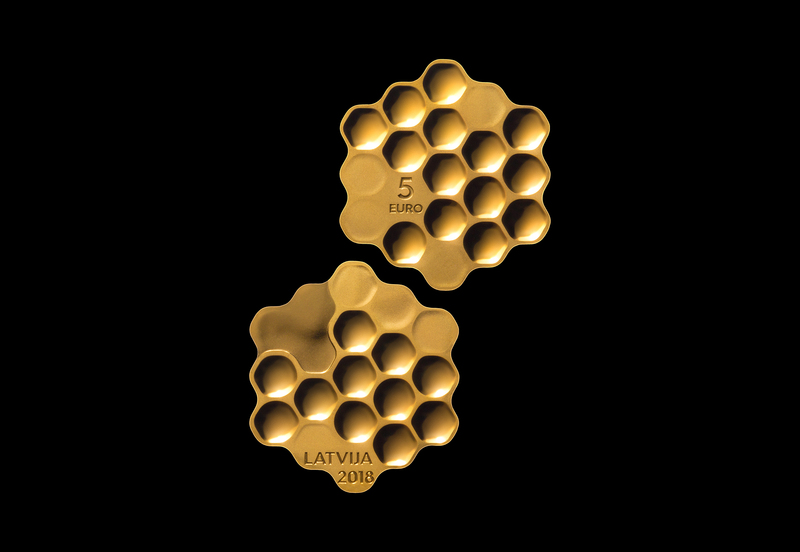 On the obverse of the coin honeycomb cells form a rough outline of the geographic contour of Latvia and the Gulf of Riga. Various types of frosting are applied to achieve this effect. 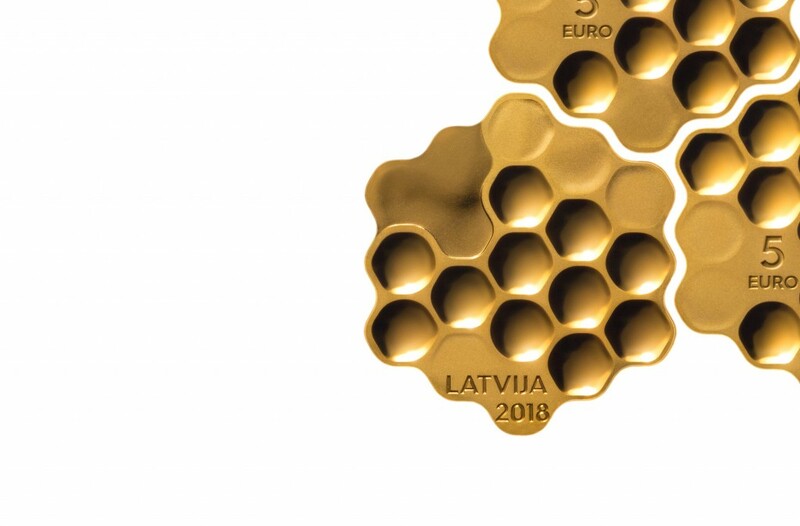 The inscription LATVIJA is placed in the lower left part of the coin, with the year 2018 below it. 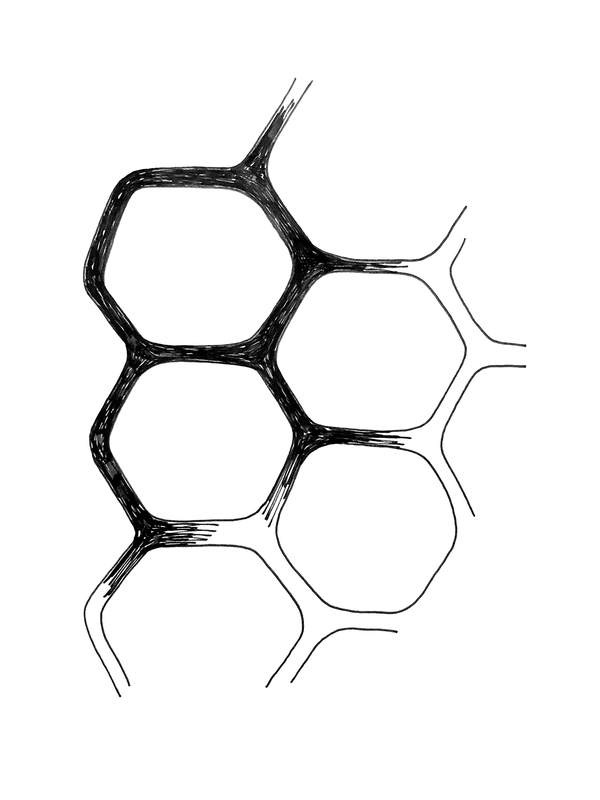 The reverse features honeycomb cells. 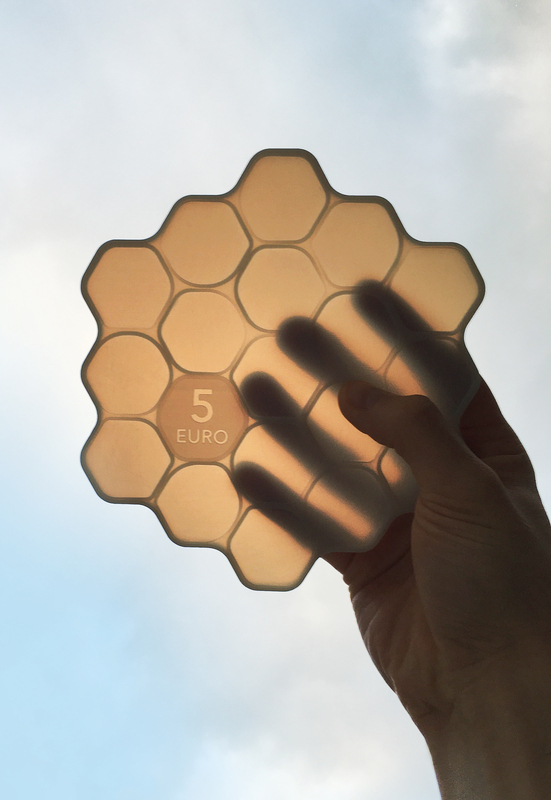 Five cells are capped, thus symbolising the 5 euro face value of the coin. 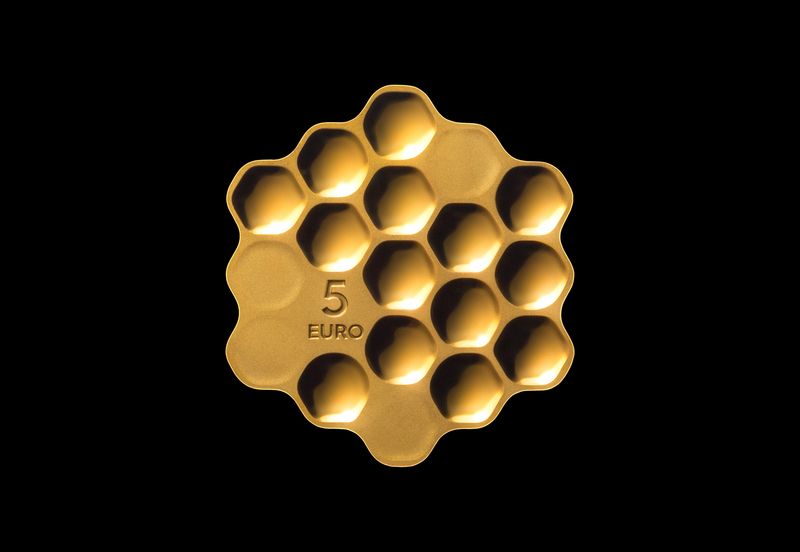 The number “5” is placed to the left of the centre, slightly lower, with the inscription EURO featuring below it. 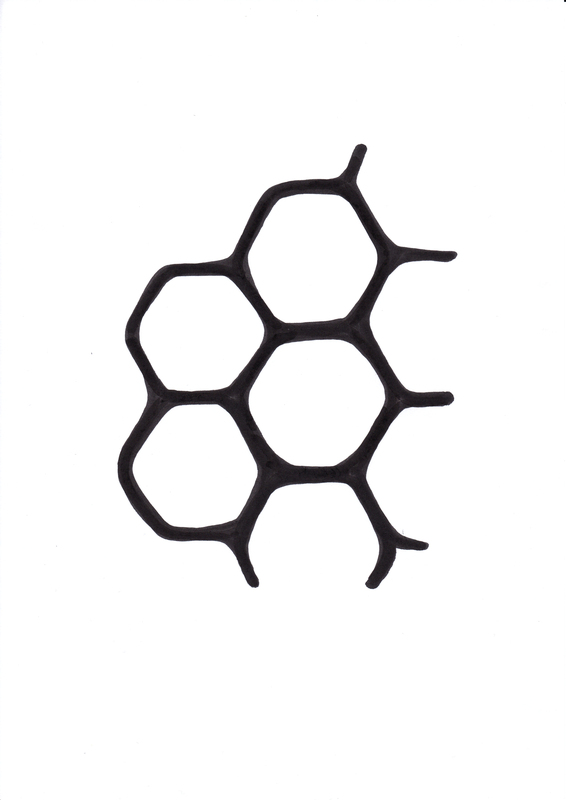 Each honeycomb is unique with various types of frostings, radii and depths.